Jai and Veeru. Akash, Sameer, and Siddharth. Rahul and Anjali. What do all of these movie characters have in common? An amazing friendship, of course! We’ve laughed with them, cried when they fought, and pretty much felt every emotion that friends go through together! Even if we don’t count the wonderful romantic moments in this movie, it would still be our favourite! Why? Because of Rahul and Anjali’s friendship! From constant bickering (remember ‘but he is your best friend, yaar’?) to having each other’s backs, this SRK movie set pretty high friendship standards for all of us! Friends traveling across Europe to fulfill their wildest dreams? Which group of friends hasn’t dreamt of this?! Double points to this friendship movie for keeping it real by showing every emotion that friends share with each other! Not only do these friends have loads of fun together, but also sacrifice their lives for their beloved friend. And nothing can rival this kind of friendship! Let’s all agree to agree that DJ and friends have been #squadgoals ever since we first saw this movie! How many times have you and your bestie been referred to as Jai and Veeru? Too many, right?! And you wonder why this is one of the best friendship movies Bollywood has ever made! 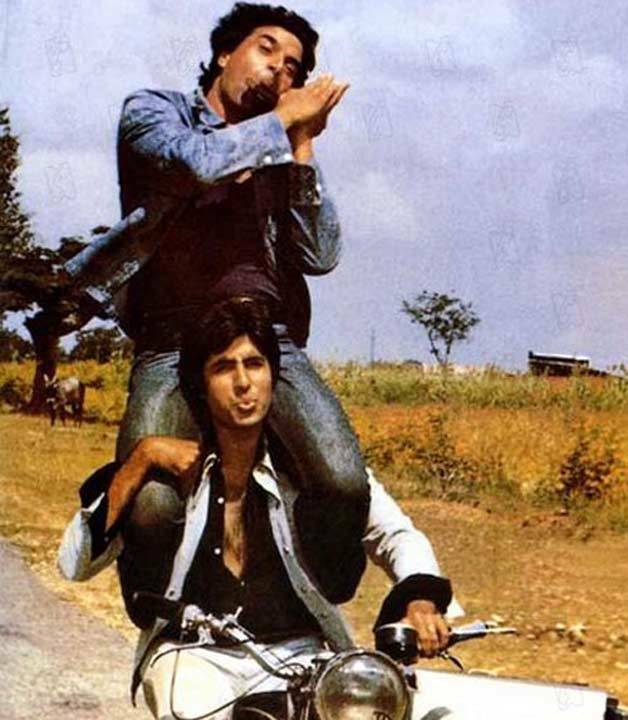 If your friendship as almost as equal as the one in Sholay, you are definitely setting some goals yourself! A classic when it comes to friendship movies! We can watch it a million times (with our best friends, of course!) and still be amazed at the brilliant equation the three friends share with each other in Dil Chahta Hai! Best friends who secretly have feelings for each other? Raise your hands if you’ve been in the same boat! No? Well, we, er…anyway, Aditi and Jai’s friendship from Jaane Tu Ya Jaane Na reminds us so much of ours! We swear to god, no pair of best friends in movies has made us laugh as much as Munna and Circuit from the Munna Bhai movies! The two funny gangsters took all of us down memory lane, reminding of all the pranks we played along with our BFF! Love getting drunk with your bestie? Celebrate Friendship Day at these breweries!